Two essential tools to remove heavy snow and ice from vehicles! If it snows where you live, you need the Snow Joe Master Kit! 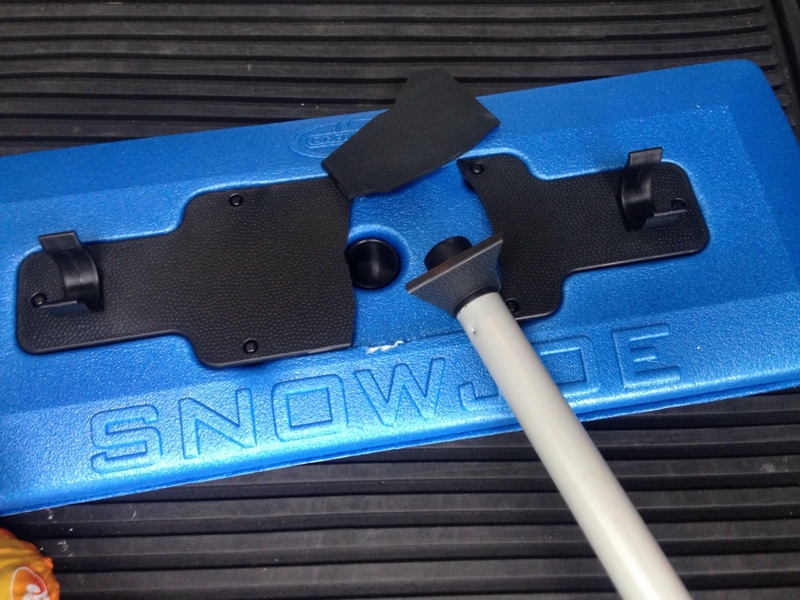 The kit includes the Snow Joe and the Ice Master - two tools engineered to push away heavy snow and remove thick ice without scratching vehicle surfaces. Both tools offer unparalleled versatility to suit any vehicle. The Snow Joe Master Kit makes a great gift. Snow Joe Telescoping Snow Broom is a must-have snow and ice removal tool for those located in the Snow Belt. Designed by an engineer that was tired of flimsy brushes that did little to remove snow off his vehicle, the Snow Joe Telescoping Snow Broom promises to outperform and outlast other snow removal tools. 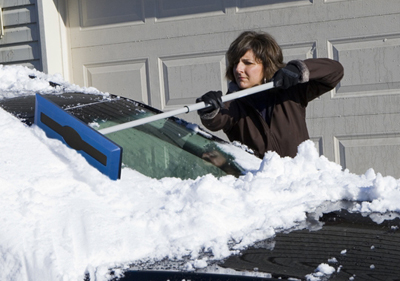 Best of all, the Snow Joe Telescoping Snow Broom will not scratch your vehicle’s paint! The Snow Joe Telescoping Snow Broom also features an ice scraper on the end of the telescoping handle, assisting with ice buildup on your windshield. The Ice Master Multi-Blade Ice Scraper is a winter essential! Remove all kinds of frost, snow and ice from the windshield and windows with the Ice Master’s four configurations. Thick ice, rock-hard ice – it doesn’t matter. The Ice Master plows through ice and frost to get you on your way fast. The Snow Joe Master Kit is a winter car care essential! For heavy snow, thick ice, thin ice, and every sort of frosty condition, the Snow Joe Master Kit gives you the tools you need to clear your car and get going. A total retail value of $44.98. Save $9.99! The Snow Joe snow push broke within the first 2 weeks of an Upstate NY winter. The attachment point of the handle to the head is plastic, which gets brittle in the cold weather. while pushing ~5 inches of snow off my truck, the support cracked (see picture). The brass bladed ice scraper works well, but could use a longer handle (I'm 6'4" and could hardly reach the center of my F150 wind shield). Great pair for snow and ice care! This snow brush and ice scraper do their job excellently. They make a great way to safely clean my vehicle of snow and ice without damaging the paint or glass. The collapsible/detachable snow brush handle makes it easy to stow without being in the way of seating. Great investment! ProsFunctional. Durable. Don't scratch paint or glass. Easy to use and safe on car finishes. I used it to clean two new cars after the Blizzard of 2016 in snow hammered, freezing cold Pennsylvania. It worked very well without putting scratches on the finish. The scraper works well, but (thankfully) we haven't had a big enough snow storm here to try out the snow pusher thing. It looks like it's built well, so I see it working just fine. ProsScraper is more durable than its plastic counterparts. ConsScraper does not come with a brush. In fact, most metal-edged scrapers I found do not come with a brush on the other end. What's up with that? I had to carry both the scraper and a separate brush as I scraped off the car. Kind of a pain.